Do you have your Parents permission to register? Welcome to Gabi H2O's children's site! If you have already registered, please log in here. 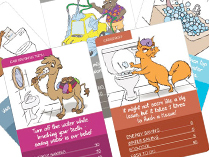 "Playing trumps with Gabi and the gang is an excellent way for kids and adults to learn about water and energy saving. 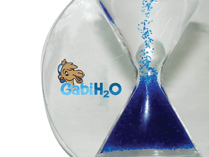 And the game is really fun"
GabH2O's Shower Timer will remind you and your kids and anyone else who uses the shower that water is a finite resource. We Have teamed up with Blue Star who care passionately about healing the planet. Find out about our camping program now! 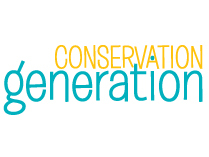 Find out how Gabi is working hard and helping this generation think about water and how to save it!